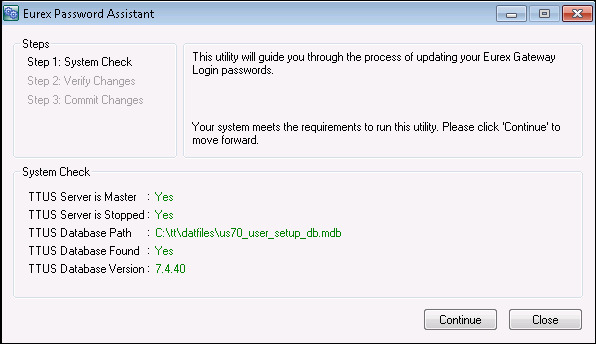 After an upgrade to Eurex Gateway 7.17.45 or higher, you must run the Eurex Password Assistant to ensure that users can continue to log in to the gateway. 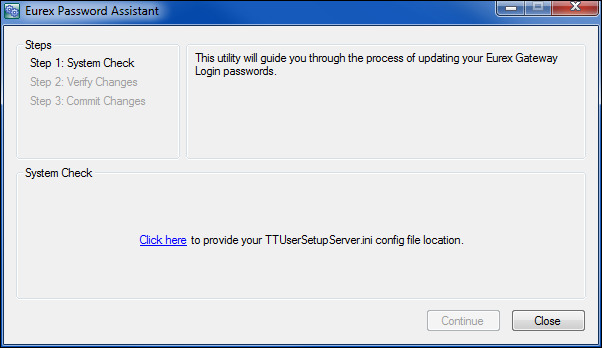 The Eurex Password Assistant is a utility that removes the ETS Order Server password and "/" from each of your user’s existing Eurex Gateway Logins in the TT User Setup database. 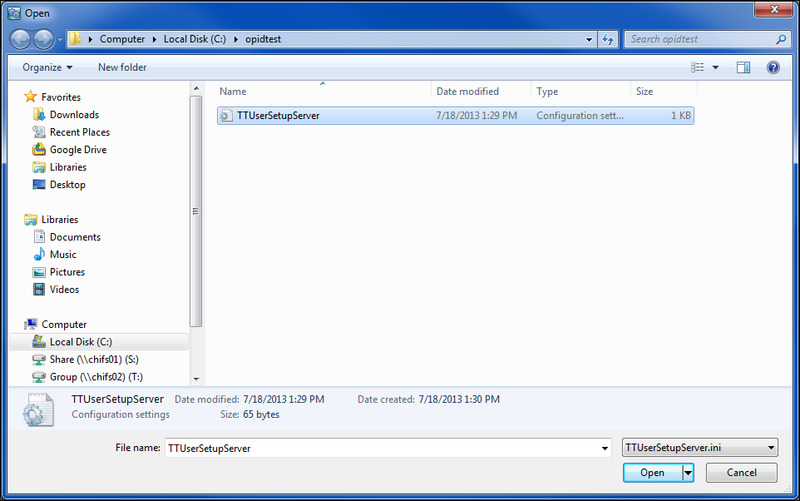 Stop the TT User Setup master server in Windows Services. Double-click C:<path>EurexPasswordUtil.exe to open the utility. 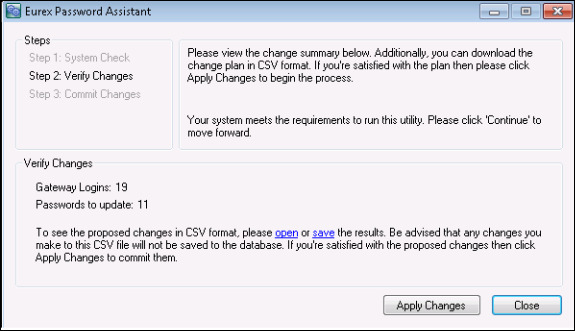 In the Step 2: Verify Changes window, review the proposed changes to the passwords in the Verify Changes pane. In the Step 3: Commit Changes window, verify that the passwords were modified in the database successfully. Navigate to the database location.